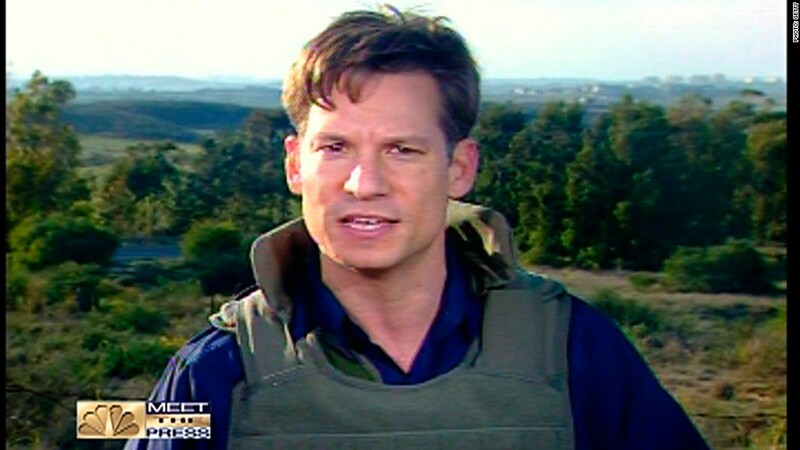 NBC's Richard Engel has revised his account of his 2012 kidnapping in Syria -- something that probably never would have happened if Brian Williams hadn't become caught up in controversy over war zone exaggerations. The fresh reporting by Engel, prompted by an investigation by The New York Times, raises questions about whether NBC set aside information that contradicted Engel's original account of what happened. The Times is not charging that Engel -- NBC's chief foreign correspondent -- intentionally misled anyone. And there is no doubt that the kidnapping was a horrific ordeal, entailing psychological torture and days of uncertainty. During the kidnapping in November 2012, Engel and his crew thought they were being held by militiamen loyal to the Syrian leader Bashar Assad, and that's what they later reported. The revised account, published Wednesday, is that they were held by a Sunni "criminal gang," and that the gang leaders had ties to the armed rebel group known as the Free Syrian Army, a rebel group supported by the U.S.
Additionally, Engel wrote, "the group that freed us also had ties to the kidnappers." Red flags about the crew's account of the kidnappers were raised in the hours and days after they were freed. But NBC evidently did not pursue the matter until recently, and that's resulting in criticism. 'Blow to its credibility' ? "NBC's refusal to address what its execs knew about the Engel kidnapping is inexcusable & a huge blow to its credibility if it continues," The Intercept foundIng editor Glenn Greenwald, a vocal critic of mainstream news media practices, tweeted on Thursday. He also wrote a column accusing NBC of "what appears to be an reckless eagerness, if not deliberate deception, on the part of NBC officials to disseminate a dubious storyline which, at the time, was very much in line with the story which official Washington was selling." NBC declined to comment beyond the story Engel published on Wednesday night. The executives who were in charge of NBC News when the kidnapping occurred are no longer in their respective roles. Steve Capus, who was the news division president at the time, left NBC in 2013; he is now at CBS. Pat Fili-Krushel, who was the chair of all of NBC's news operations, left that job just last month. She is moving to a new corporate role within NBC. It's because of the Williams controversy that Engel's experience is back in the news. After NBC suspended Williams in February for embellishing a war story, reporters at The New York Times had renewed interest in Engel's account of the abduction. The investigation began more than a month ago and involved at least nine reporters. The subject was, and still is, obviously sensitive and complicated because Engel is a widely-respected and courageous correspondent. He and his crew repeatedly snuck into Syria on risky reporting missions to tell stories that were otherwise going mostly untold. Hours after the NBC crew members were freed in an apparent firefight, Engel said on NBC's "Today" show that he had a "very good idea" of his captors' identities. He described them as members of the Shabiha militia and said they talked "openly about their loyalty to the government" of Assad. This was significant at the time because Engel and other correspondents were covering the emergence of the armed opposition to Assad. But among some foreign correspondents and Syria analysts, there was skepticism early on that Assad loyalists had actually carried out the kidnapping and some speculation that it was a set-up. Days after the crew members were freed, The Daily Beast reported that the NBC version of the ordeal "omits much and is at odds with what security sources involved in the freeing of the group say happened." Some of The Times' sources seem to back that up. "NBC's own assessment during the kidnapping had focused on" a known criminal gang, not pro-Assad forces, the newspaper reported on Wednesday. The investigation found that "NBC executives were informed" of the rebel-affiliated gang's "possible involvement during and after Mr. Engels's captivity, according to current and former NBC employees and others who helped search for Mr. Engel, including political activists and security professionals." A lingering question is whether NBC ignored that information. "The network moved quickly to put Mr. Engel on the air with an account blaming Shiite captors and did not present the other possible version of events," The Times wrote. Engel wrote on NBCNews.com that "the group that kidnapped us put on an elaborate ruse to convince us they were Shiite Shabiha militiamen." Was Engel's escape 'staged' by rebels? The Times also quoted locals as saying that the crew's escape -- which was later described in terrifying detail by Engel -- was "staged" to place the blame for the kidnapping on Assad forces. The insinuation is that NBC knew some of this conflicting information, but stuck with Engel and the crew's version of events on "The Tonight Show" and elsewhere. When The Times contacted NBC for comment in March, Engel and one of his producers began to re-report the kidnapping story. Executives at NBC braced for a bruising story from the newspaper and worked behind the scenes to counter it. The investigations spilled into public view on Wednesday evening when The Huffington Post reported on The Times' interest. Engel published his followup story a couple hours later, and The Times weighed in a few hours after that.